“Self-esteem” is defined as confidence in one’s own worth and abilities. Is your son confident in his worth? In his abilities? Does he even know his abilities? Many boys don’t. What looks like apathy to us — complete disinterest in doing anything, besides playing on his phone or video game console — may actually be a crisis of self-esteem. If you’re worried about your son’s lack of engagement in life, this teleseminar is for you. When you register, I’ll send you the call-in info. You can call in from anywhere. All you need is a phone. Presenter Jennifer L.W. Fink is the founder & creator of BuildingBoys.net, and the mother of four boys. 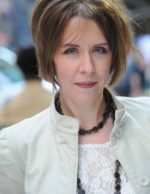 She’s also an internationally-published writer who’s written about boys for U.S. News & World Report, Parade, FOX News, The Washington Post, Parents and Scholastic Instructor.